Painting is one of the main services we provide. 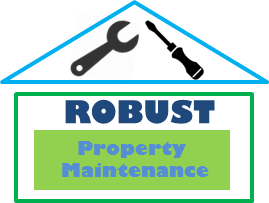 Property refurbishment is essential in presenting your property especially if you are renting or selling. Whether its a full house painting or one room of your apartment we can provide a quick turn around. Painting and Decorating is one of the most demanded Property Maintenance Services Robust provides to our clients and our painters have years of experience. Whether it’s a full house refurbishment or one room of an apartment that needs painting, we can provide a quick turnaround and a superior professional finish. Property refurbishment is essential in presenting your property especially if you intend renting or selling it. Painting and Decorating adds real value to your property at a low cost, it has an excellent return on investment. Correct colour choices and clean lines can make a space better and feel bigger. We can offer individual packages based on the size, colour choices, coats and finish desired. Just ask us. We can offer both day rates and all inclusive prices depending on your requirements. Painting adds real value to your property at low cost. Good colour choices and clean lines can make a space better and appear bigger. We can offer individual packages based on the size, colour choices, coats and finish desired. Just ask us.